American Wholesale Property: New build in Houston's hottest real estate location! Just needs to be finished out! New build in Houston's hottest real estate location! Just needs to be finished out! 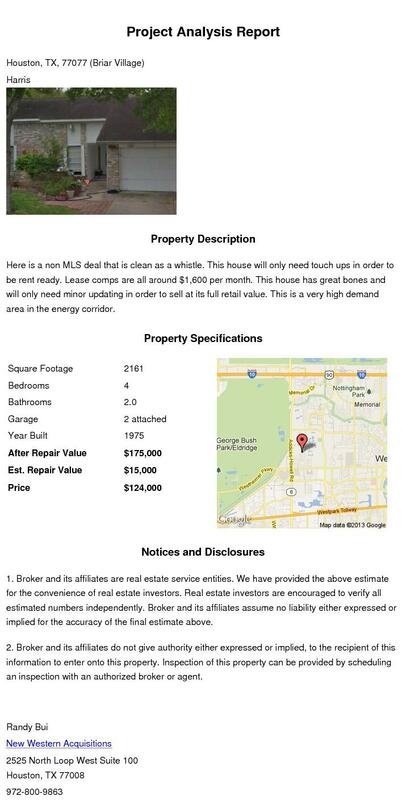 Great Opportunity for investors looking in the Heights area, Houston's hottest area! It is a new build that just needs to be finished out. Property has a very open concept with vaulted ceilings thru out. Property was designed to be very energy efficient w/ extra insulation low e windows and metal framing. We have sold two properties on this street, don't miss out on this one. Contact RANDY BUI for more information; 972-800-9863; randy.bui@newwestern.com.